Popular cryptocurrency hardware wallet Trezor has introduced two firmware updates on both of its models – Trezor Model T and Trezor One. The move comes shortly after the wallet enabled its users to exchange directly through its interface. According to the official release, the new firmware for Trezor Model T will support a wider range of different cryptocurrencies. These include Monero, Cardano, Stellar, Ripple, Tezos, Decred, Lisk, Zencash, Groestlcoin, and Zcash Sapling hardfork. This opens up the way for third-party integrations for the supported currencies. “Nothing now stands in the way of developers of the respective cryptocurrencies or other third-party developers to implement Trezor integrations with their wallets — and some of them already have!” the announcement explains. The new updates are community-driven, the announcement explains, which means that developers of the aforementioned coins must integrate the new code into with their GUI wallets while Satoshi Labs – the company behind Trezor – reviews, tests, and optimizes the code. With Trezor Model T, we have decided to redesign a lot of stuff completely from scratch. One of these changes was to have business logic code written in Python, language most developers are familiar with, instead of embedded C used for the original Trezor model. There is no better proof that this was a great decision than looking at the massive community contributions that have landed into the latest Trezor Model T firmware. The original Trezor hardware wallet – Trezor One, has also received a firmware update, adding support for WebUSB for both Trezor Wallet and Trezor Password Manager. The new firmware allows users to connect Google Chrome to their Trezor Wallet directly without having to use Trezor Bridge. Furthermore, using the right cable, users can even connect their Trezor One to their Android mobile device or to their Chromebook. What’s more, Trezor One has also added support for Lisk, Stellar. Recently, the popular hardware wallet announced a new feature which allows its users to exchange cryptocurrencies directly through its interface. 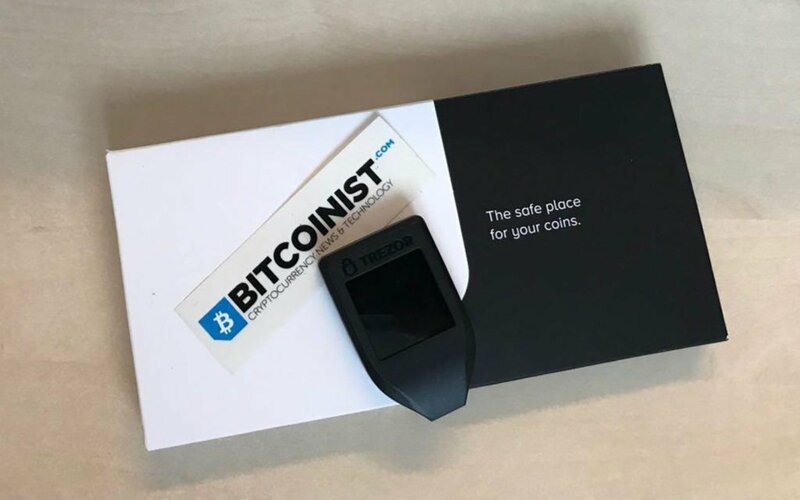 You can also check out Bitcoinist’s review of the Trezor Model T here. What do you think of Trezor’s new firmware updates? Let us know in the comments below!